Wallace is an important mining town located in North Idaho. 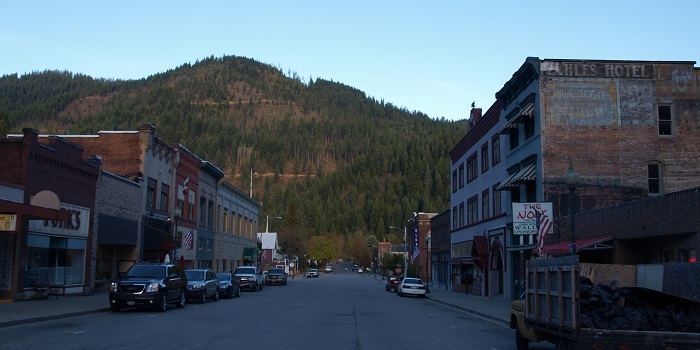 The town of Wallace is located between Montana and Washington off the interstate 90 in the famous Silver Valley, one of the richest concentrations of silver ore on Earth. 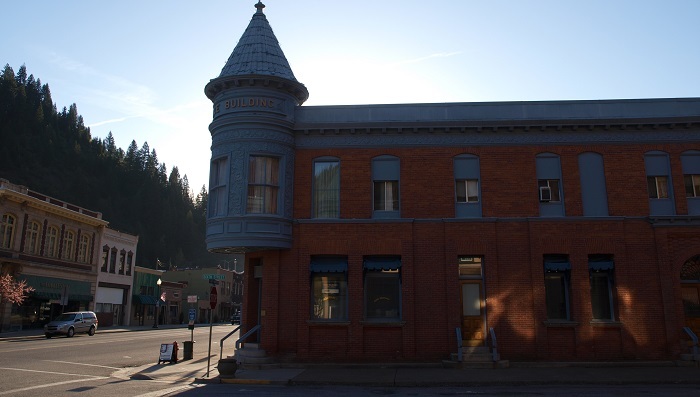 The town of Wallace has a colorful mining history that dates back to 1884 when Colonel W.R Wallace first came to the area as a result of the news that the region had gold and silver deposits. He bought and developed about 80 acres of land which are now an important part of the city. Several smaller gold deposits were found in the surrounding mountains and which spurred the growth of the town. Although Wallace is famous as a silver city you will certainly find gold in many of the creeks around the city too. 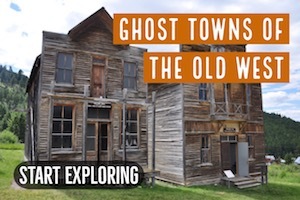 For instance just a few miles from the city you get to Murray, one of Idaho’s many gold ghost towns. Gold was first discovered here in 1881 by A.J. Prichard and brought in over ten thousands miners during its peak. 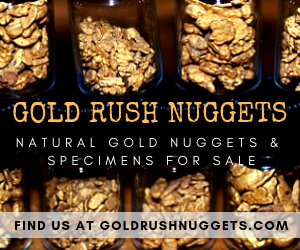 This was one of the last major gold rushes in the lower-48 states. Here you can pan for gold both in the town and the surround streams. 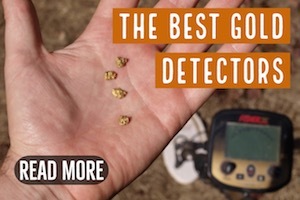 You have a good chance of finding gold if you pan for gold here. 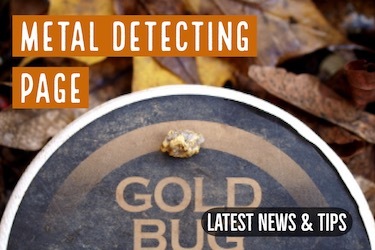 Just remember that you need permission to prospect for gold in the local streams that are on private property. 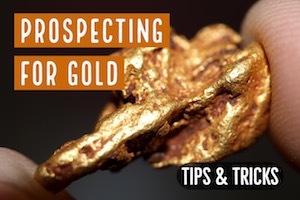 From Wallace you may also choose to visit the neighboring Eagle Park for gold prospecting. Eagle Park is a privately owned establishment that sits on the site of the first gold rush in the area. The park is a 35 acre stripe located within the Coeur d’Alene between Murray and Prichard and offers you about 2000 feet of shoreline along Eagle Creek. You are allowed to keep whatever gold you find. The park is open Monday to Sunday but you need to make an appointment before visiting. You also have to pay a small fee to visit the facility. The Crystal Gold Mine is another important mine that you can tour. This is an important underground gold mine that gives you a glimpse into the 1880s mining. The mine was one of the earliest mines in the silver valley and produced a significant amount of silver during its peak. A tour of the mine is quite exiting as it lets you get a glimpse into history and understand how mining was done 100+ years ago. In addition there are still traces of gold in the mine and you may have a great time panning for your own gold within the mine site. The best place to learn about silver mining is the Sierra Silver Mine in Wallace. You can take a tour of this famous underground silver mine and you will enjoy the tips and detailed explanations given by your guide. In addition to walking through the main drift of an operational underground silver mine you will also have a feel of all the mining equipment and see exhibits to learn about the history and the modern day silver mining process. Having a great mining history, you must tour the Wallace mining district museum for you to fully understand early gold mining in the city and its environments. The museum and the visitor center have lots of exhibits and artifacts that tale the story of the city and how mining has changed through the years. 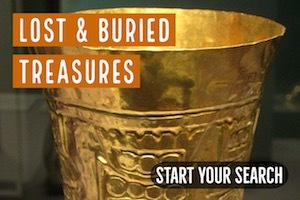 Usually the museum is open between May and October each year. The town of Wallace today is in many ways quite similar to the way that it was during the height of mining activity. Many of the historic building are still in place, making it a beautiful town to take a walk through an enjoy the sights. As with many mining towns, there heyday of Wallace and the Silver Valley is long over. There are still some active mines in the area, but the area is now more popular as a tourist area than it is for mining.